This photo was taken on one of the islands in Coron, Palawan. I was on an island hopping tour and this is one of the stops. We were lucky because our boat was the first one to get to the island and we were able to enjoy peace and solitude for about 30 minutes. Then, other tourists began to arrive and frolic on the beach. I was lucky to get this picture of a guy walking on the beach alone. This photo shows what I feel when I travel – I am alone but I am not sad. I am one with nature. One with the world. 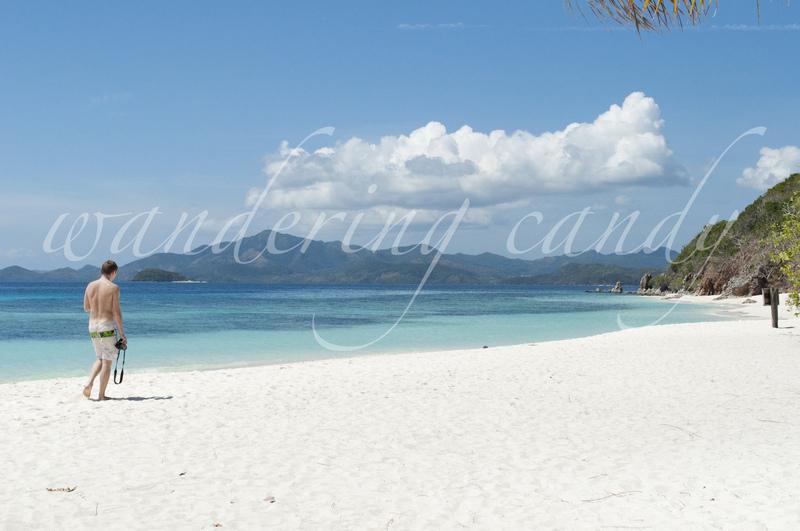 This entry was posted in Asia, Philippines and tagged beach, Coron, Palawan, Philippines, Photography, Travel by wanderingcandy. Bookmark the permalink.